Imitation eagle talons that are quite nice and very life-like looking. The finish is a medium to dark chocolate brown color. 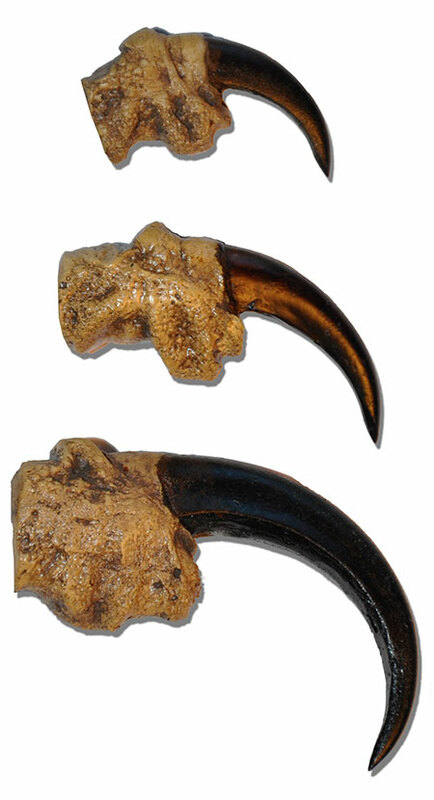 Claws are measured on the outside curve. The large is 3 inches, medium is 2 inches, and small is 1.75 inches. These are cast from a composite material and are not plastic. The original mold was made using an actual eagle claws as the form. Each is hand-cast and plainted. These drill easily and cleanly for projects where the claw is strung. 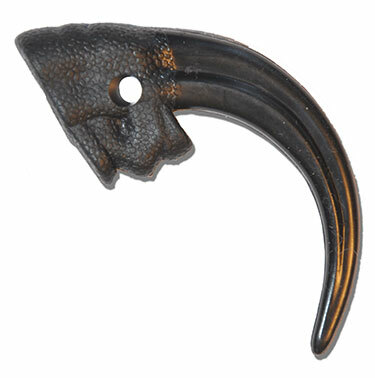 This item combines with other imitation claws for quantity pricing. Made in the USA by a Native American owned company. A great reproduction for kids projects or where low cost is important. Approximately 2.5 inches across and has a drilled hole for easy stringing. Sold in packs of 10.